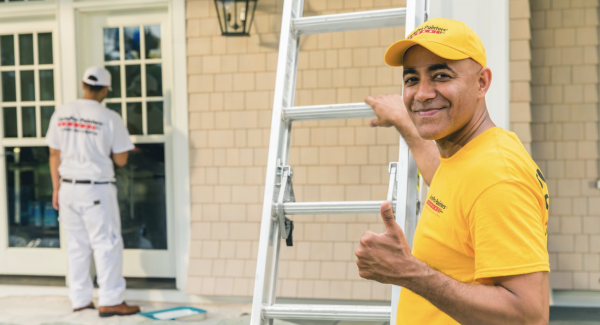 Finding the right team to paint your home can feel overwhelming, but with CertaPro Painters® of Lynnwood, WA you’ll have peace of mind. We are experts that treat your home with the care it deserves. CertaPro Painters® of Lynnwood, WA offers professional exterior house painting services. We can help with all types of exterior home surfaces including wood, siding, stucco and more. CertaPro Painters® of Lynnwood, WA provides a range of custom interior painting services, allowing for a smooth, seamless experience and exceptional results in every home. At CertaPro Painters® of Lynnwood, WA, our trained professional painters will transform your house into something you will be proud of. Book your free estimate now! In addition to a final on-site inspection, an independent quality assurance team may contact you after your project is done to get feedback on your project’s final results and your overall experience with CertaPro Painters® of Lynnwood, WA.